Michael Joseph Jackson sang and danced and in the process of a sterling career that spawned 4 decades in the music industry, was chided, loved, adored, criticized and pelted with as much love as adulation and mockery. Part genius, part controversial, but pure artistic treasure, Michael’s music broke out in the 80s and ever since that red jacket caused a Thriller back in America, his name and legend has permanently been transfixed with spell binding music finding a place in our hearts for time immemorial. Concerts, sold out venues, hit records, platinum selling albums, unmistakably awe inspiring cult dance moves and what not, Michael was forever the musical inspiration and his fans the enterprising cavalcade who didn’t mind soaking some sun in his venerable History. When he passed away in 2009 on this very day, June 25, he left behind a great legacy of not just his unsurpassable musical career, but that of a melting pot of blazing creativity, music, lyric writing and thoughts and visions alike, that have found no match to this date, let aside being overtaken in terms of its rendition. It wouldn’t be incorrect to state that MJ, as he is popularly known didn’t just find his name amidst glowing headlines, roaring with his epic appeal, but at times in trials and controversies you would have least expected him to be a part of, given his spiritual, popular and endearing appeal. While some found his maniacal lifestyle implausible to comprehend which was largely a root of a hapless and unconventional childhood he was made to suffer, others found his music lovely, moving and inspiring. And, this is where our focus must rest. Not on berating a musical legend who we simply cannot surpass for his sheer timelessness and popular appeal, but on celebrating his great career, with an attempt to decode the deep, evocative meaning in those lyrics that smoothly accompanied the flawless tapestry of MJ’s dance magic. We take a look at the man behind the mask, the controversies and all the fanfare to rejoice over the great essence of his cult music as only then can we truly reflect what is expected of admirers : being one with a true hero in remembering him for what he stood for. Race is just a figment of imagination for those zombies who can never understand the grace and purpose of equality. When this iconic number was released in the early 90s from Michael Jackson’s Dangerous album, it spiraled viral fever around the world for its cross cultural breeding of races, color and celebration of splendor of the world- all amidst the charismatic MJ dance mania. Michael, through the song, conveyed that it really doesn’t matter if you are black or white. So obsessive was he, towards ending this sub-categorization of human beings on the basis of their class, color or creed, that he even, for the first time ever was seen mixing dance moves with the Indian Kathak dance lady. While he did this, he further mocked social stigma associated with the white race supremacy by placing a colored baby right next to the other kid on top of the globe amidst the great musical vibe of the song. Transcending the real message of peace and oneness, this was Michael’s great message to ending the unfair categorization of our fellow human beings. Was the song accepted? Hell yeah, it rocketed to top of the American bill board top 20 for weeks in succession. They say, “if you want to make the world a better place, take a look at yourself and make the change”. For decades now, our parents have taught us not to condemn fellow friends, family and others for any particular reason at all. And, the teaching of our elders doesn’t end there. It carries meaning and purpose toward ending the unwanted resentment we express toward the society, its norms, its people. So what did Michael Jackson do with these lyrics with this song? Pretty simple, with real well meaning lyrics, dance, smooth but hard hitting music and creating a visual mélange of celebrities who stood for peace, he went on to convey that we all need to lend an effort to make the world a better place. In multiple ways, through this number, Michael Jackson subjugated the ghastly horrendous submission that his music was too poppy or commercial and that it lacked value. Secondly, he focused on not just the Mandela or Mother Teresa’s of the world, the great and lasting symbols of tireless human morality and peace but tied them to the central template called Mahatma Gandhi. What he did brilliantly though, was to lend his supreme vocals to a high pitch song of audacious courage, meaning and decorum in an effort to lend his music some higher meaning. The result- fans recollect Man in the Mirror as one of MJ’s great musical sojourns. That breezy and free flowing red Olodum T Shirt on the streets of Brazil among sick and poor and hungry kids, all rolled in with one singular purpose- to draw the world’s attention towards the depleting sense of happiness and spread of misery in Latin America, all of this through pure, unadulterated dancing and beat drumming music. Only a star as great as Michael Jackson and devoted and selfless as the great King of Pop was to the cause of the homeless and hungry could have managed this. The song became a war cry of hope torn amidst tumult, suffering and despair and gave a new vision to music and dancing- rejoicing despite the suffering. Wow. Michael Jackson you did something there. The great feet moving number from History album went on to become a smash hit around the world for its appeal with both the young and the old, the tired and the selfish or reckless and inspired a wave of attraction to this, sort of subdued part of the world, which is full of splendor but strangely, doesn’t get the good word in print or digital media. Very simply, this song made it to our list for a spectacular and strange reason. How often do you see music stars, as big and iconic as the late MJ, coming together with an impassioned team to sing a song for Environment? Lobbyists, social media darlings, high partly ultra extravaganza pleasantry exchangers and pseudo intellectuals all crave attention through such ‘ self righteous causes, but none manage to charm and move and draw attention to the cause of our time, quite like MJ did, decade and a half back through the Earth Song. Michael Jackson, put up an ugly, hurt, vengeful and sickening portrayal of the brutal suffering of animals, the forgotten people such as the native Indians and the ever burdened environment on a canvass of pure story telling. There were dying elephants butchered for tusks and dying red Indians amidst a sea of suffering of great environmental carnage. The musical genius in MJ rose to a different challenge through this song and gave the world a piece of its own ignorance- outright environmental damage. With such blatant green abuse of the serene wild and flora life around us, the world sat back and took notice of this great song. Not many would agree with this choice on our list, but here’s our humble submission. How many times have we seen outright passionate dancing sans those jazzy attires or any stage performance act put together for a meaningful purpose, such as to end a fight? Michael Jackson through this grand hit from Thriller album of 83, gave the world not just some frenzied dance movements but ended a huge fist fight amongst 2 brutal gangs, driven to bash each other up in a fight that had no purpose in the first place. Quite simply, as a nobody who didn’t even know the 2 warring gangs, Michael’s character in the song is shown as one who can unite people through dance amidst times of violence. How many of us can do that? 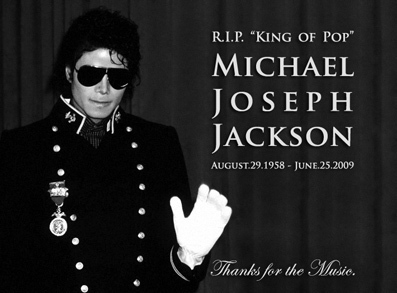 Thank you for everything Michael Joseph Jackson.